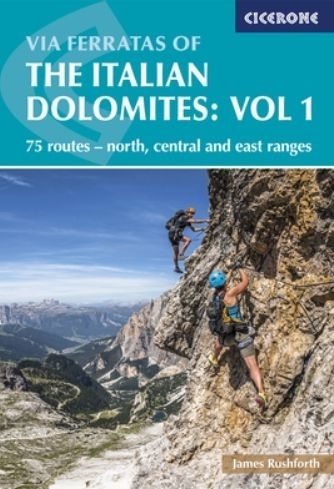 his guidebook presents 75 via ferrata routes in the stunning Italian Dolomites. 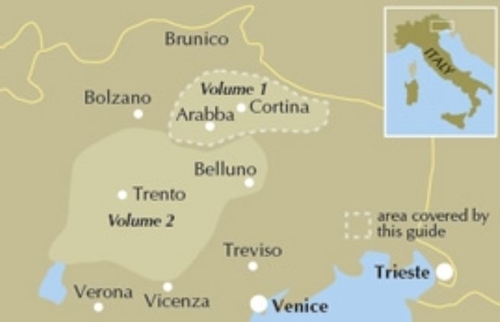 Part of a 2-volume set, it covers the northern, central and eastern regions, including Cortina, Fassa, Sesto, Canazei and Corvara. Routes are graded by technical difficulty and seriousness and there are comprehensive route descriptions accompanied by access notes, maps and topos. Stunning photography completes this inspirational guide to some of the most breathtaking via ferrata routes in the world. The Italian Dolomites boast some of the most magnificent mountain scenery on the planet and some of the most iconic. Soaring rocky spires and jagged ridgelines are interspersed with gentle valleys and idyllic mountain villages. The Dolomites are also home to the world's greatest concentration of via ferratas - mountain routes or climbs that are protected by a series of cables, metal rungs, pegs and ladders.